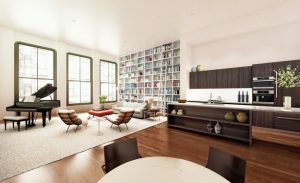 Luxury condo conversion 111 Mercer Street in SoHo launched sales on Friday. A 2,024-square-foot, two-bedroom apartment from the four-unit boutique development hit the market with an asking price of $4.25 million. The five-story historic building is being marketed by Prudential Douglas Elliman‘s managing director Fredrik Eklund and executive vice president John Gomes. The full-floor loft up for grabs features 11-foot-high ceilings, 2.5 bathrooms, a 37-foot-by-22-foot entertaining room with oversize wood-frame windows, white oak floors, an open grey oak Varenna island kitchen, a virtual doorman and sharp period details such as exposed brick and original cast-iron columns. Buyers will have the option of getting concierge and housekeeping services from The Nolitan Hotel nearby. Prices at the converted building will run from $4.25 million to an estimated $10 million. 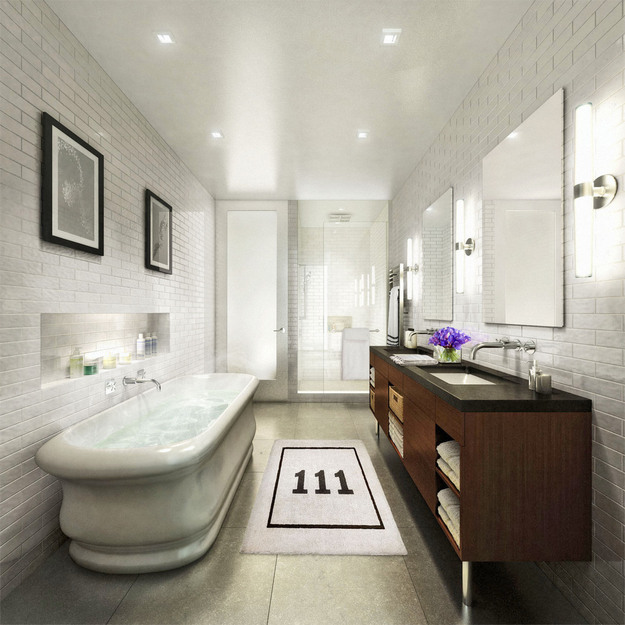 All of the condos have wide-plank wood flooring, washer and dryer, direct key-locked elevator access and oversize master baths with a freestanding tub, steam shower room and heated stone floors. The three-bedroom duplex penthouse boasts a sky-lit open staircase, three fireplaces, an outdoor shower and a roof terrace with an outdoor kitchen. Veracity Development bought the 11,365-square-foot property, first built in 1900 in the current Soho Cast Iron Historic District, for $12.35 million in 2008 and got approval from the Landmarks Preservation Commission to add a penthouse. Grzywinski+Pons handled the renovation. The ground floor under the four housing units is currently occupied by Georgetown Cupcake of TLC show DC Cupcakes fame.